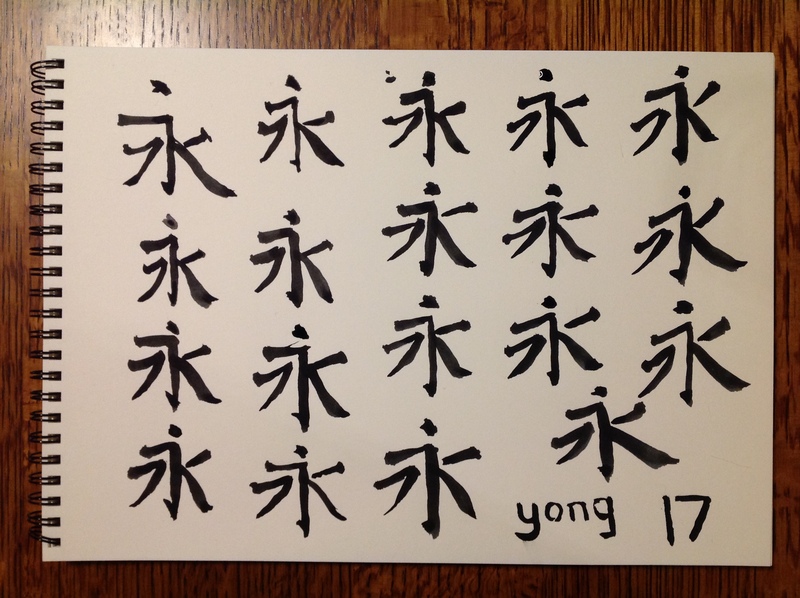 Today, I drew my very first proper Chinese character! The character is “yong” which means “forever” or “permanence”. It contains all the basic strokes that I’ve been practicing, so it’s a good one to start with. A usual, it’s a bit scrappy and my dot, or “dian” is fricken awful. But still, I think anyone capable of reading Chinese would be able to recognise it!